Ready to start your OWN Non-Invasive Spa?? Enroll in TLC Butterfly Effect Academy NOW! Click below to fill out a Mandatory Enrollment Form to start your enrollment process TODAY! Lose inches and drop a dress size in minutes with our Thermal Infrared Heating Blanket that emits low energy emission heat which activates the metabolism, relax muscles, increase circulation throughout the body, remove excess toxins and circulate lymph. By providing this effect can ultimately result in the reduction and elimination of excess fat cells. Treatment time will range 20-45 minutes and can be performed 1-3 times per week. Thermal Infrared Heating Blanket functions to emit a low energy emission heat which can activate the metabolism, relax muscles, increase circulation throughout the body, remove excess toxins and circulate lymph. By providing this effect can ultimately result in the reduction and elimination of excess fat cells. Treatment time can range from 20-45 minutes and can be performed 1-3 times per week. This model blanket has an automatic timer and has two separate thermostat controls. It also includes the Infrared function which offers a stronger, more even distribution of heat energy. Works on skin rejuvenation, skin toning, wrinkle removal, anti-age, skin renewal, anti-allergy, pore size reduction, increase skin elasticity, and improve skin absorption of cosmetic products, and so on. Dissolve the fatness, do lymph drainage, skin tightening, enhance skin elasticity. Lipo-Laser™ is the latest in laser lipolysis, offering you a way to achieve inch loss and body contouring with no pain, no needles and no down time. The Lipo-Laser works by emitting low levels of laser energy, which create a chemical signal in the fat cells, breaking down the stored triglycerides into free fatty acids and glycerol and releasing them though channels in the cell membranes. The fatty acids and glycerol are then transported around the body to the tissues that will use them during metabolism to create energy. This process of fatty acid release is a natural response of the body when the body needs to use stored energy reserves, thus Lipo-Laser is not creating any unnatural reaction in the body nor does it affect or damage any surrounding structures such as skin, blood vessels and peripheral nerves. A period of exercise post treatment will ensure the complete metabolism and thus elimination from the body of the freed fatty acids. Cryo-Sculpture System is a cosmetic professional treatment used to destroy fat cells. Its principle relies on controlled temperature for the non-invasive localized reduction of fat deposits to reshape body contours. The exposure to controlled temperature is set so that it causes cell death of subcutaneous fat tissue without apparent damage to the overlying skin. The procedure is billed as a nonsurgical alternative to liposuction. The procedure reduces fat in a chosen, targeted part of the body, such as the love handles, back, stomach, or bottom. This cosmetic method does not require surgery, there is no anesthesia, no needles, no cuts, and it only targets fat cells without harming the skin or any other tissue. The results of Cryo-Sculpture System are very much the same - just the same as natural fat reduction processes would result in. 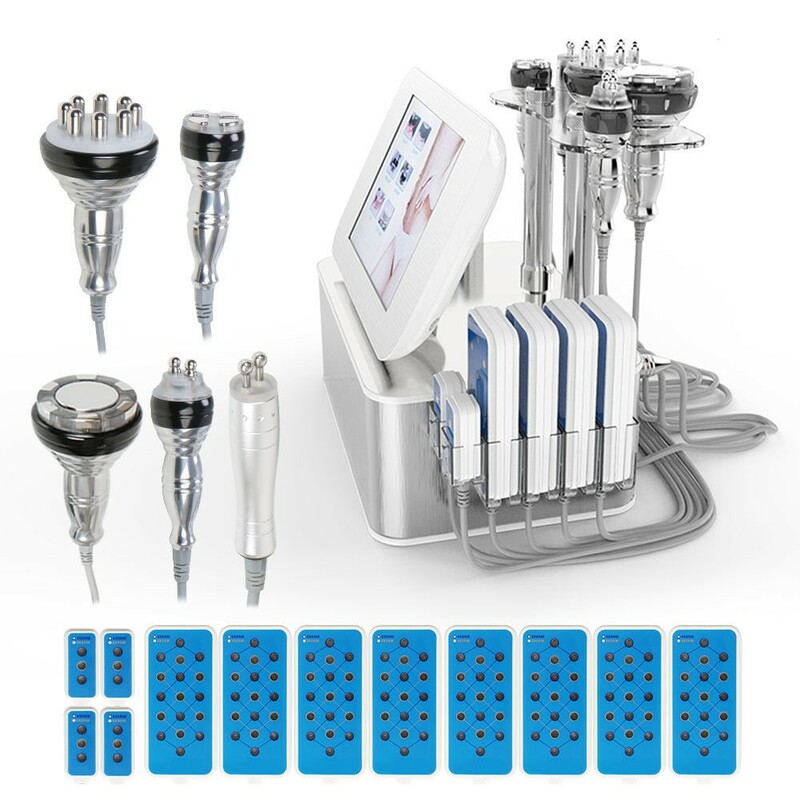 Based on the condition of strong blue LED light and whitening kit accelerant, the device provides an effective method for stimulation of the regenerative processes in the tissue with expressed anti-inflammatory and an analgesic effect.